SHOCKING video shows an HGV driver overtake on double white lines before having a roadside scrap with the driver of another lorry. The long vehicle is seen racing past traffic before pulling in to the side of the road. The driver of the other HGV then jumps from his cab and within seconds the pair slug it out in front of other motorists. The incredible scenes were captured on the A75 near Castle Douglas, Dumfries and Galloway, and posted to social media by D & W Agriculture. The firm claimed one of their drivers was involved in the incident yesterday, which caused tailbacks on the road. The clip begins with a lorry overtaking the driver of the dashcam, also a lorry driver. The lorry begins to turn back into the left lane but is blocked by a car, so continues forward and overtakes this. The driver then slows down, and stops at a junction, blocking the road, with a car behind him. The driver of the dashcam lorry sprints over. Suddenly, a man runs from the right hand side of the dash cam, running along the road to the passenger side of the lorry cab ahead. The driver is hidden out of view, intermittently coming in and out of shot from the lorry cab, it appears as if he is almost trying to gain access inside or is riled up. He swings his arm in the air, as if he is calling the driver to get out. The male driver of the overtaking lorry then comes out and the two can be seen briefly engaging in a tussle. The dashcam driver grabs the lorry driver by the neck and throws him into the side of his lorry. 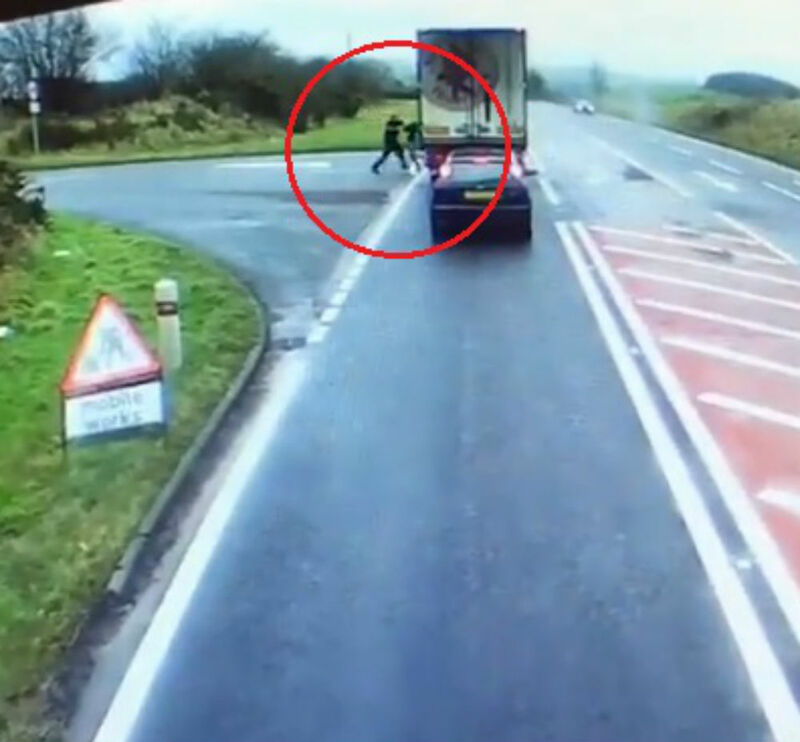 The lorry driver then appears to try and punch the dashcam driver, and at one point can be clearly seen in a fighting stance and swinging at him as he backs off. The lorry driver backs off and walks back, with the dashcam driver going to pick up something. 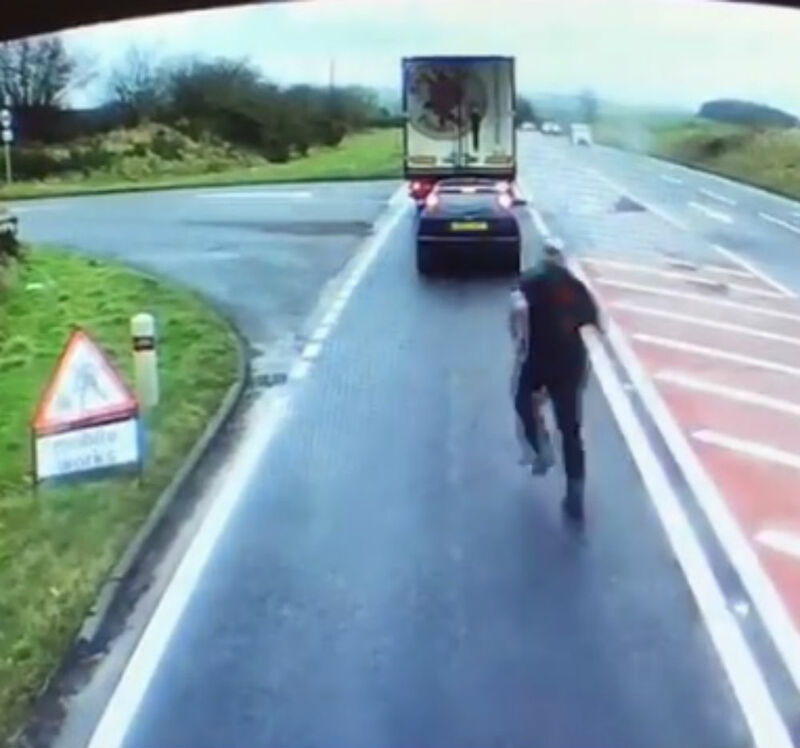 But as he is doing so, the lorry driver runs up and again tries to punch him, scaring him off, with the dashcam driver running back towards his lorry. 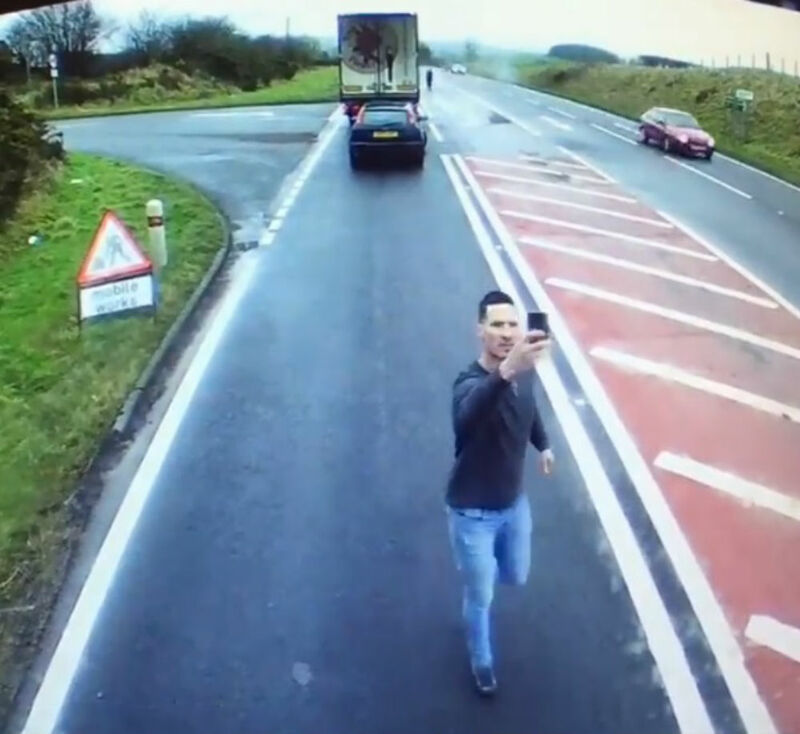 The lorry driver reappears, taking photographs of the lorry filming from the dashcam, before another person goes over to talk to him, and the driver of the dashcam takes off. D & W Agri wrote a caption above the video, saying: “Well today this happened to one of our drivers and vehicles. There were large tailbacks on the A75 during the fight. Graham Scott wrote: “Absolutely shocking driving and top marks for the cam driver for his resilient manner. A spokesperson for Dumfries and Galloway Police said: “Police at Castle Douglas are appealing for witnesses following a fight on the A75 near the Ram hill at Castle Douglas. “The incident occurred around 11:30 AM this morning (Wednesday 6th Feb) and involved the drivers of two HGVs. “We believe a number of vehicles waiting in a line of traffic will have seen the drivers fighting and are particularly keen to speak to the man who spoke to police officers when they initial arrived but left before giving his details. “As part of our investigation we are also keen to trace the driver of a blue/red Scania R580, described as 6ft 5, muscular build, short grey hair and bald on top with a long grey beard. “He was wearing a black and grey shirt and jeans.